I am appointed as a Lecturer at the University of the Free State, and also as a Research Fellow at the University of South Africa. I am also an ordained Minister in the Uniting Reformed Church in Southern Africa. The Study focuses on newspaper reporting on corruption in South Africa. 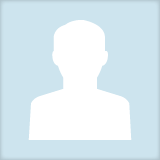 Eugene Baron updated their profile information.